I stand on the carpet — still crimson red and not a word from my mouth. I stand on the carpet — still crimson red and not a word from my mouth. In panic, I run searching for my roots. Images of parched lands in Tamil Nadu (facing a 140 year drought) flash in front of me. My dry throat relates. From those lands emerged my father. Dads are full of wisdom. Right? There were moments when my dad was human — while watching a game of cricket on our black and white TV, when a key wicket fell, he would throw down a towel exasperated. Friday night rituals were awesome — my siblings, dad and I enjoyed Bruce Lee movies and grew up on Jackie Chan’s VHS videos. The glee on my dad’s face watching the underdog hero win against odds is chiseled in my memory. Dad was all-real. He smiled — he smiled big. He was also a man of few words. Even when he was on dad mode, advice was rare. When he did, it poured like liquid mercury- “Kick the lee from hardly working, a great life is ahead of you.” He echoed a torch-bearing middle class advice — in his signature memorable way. In the same vein of thought, he often repeated his dad’s words of wisdom — “a son calls his dad a fool until he has one to say so.” I could always sense a tinge of pride in his voice as if passing a generational baton. For my part, I always gave my dad full credit to see things from my perspective — at any moment in my hormonal teen years. Now, I chuckle. The middle class baton that my dad lived by — hard work, it is all pervasive but often puzzling. Does it propel the middle? I ventured to draw from my own observations. You give someone the stage and they invariably talk about tails. Unfortunately not dog tails, but tails of distributions. Underdogs — at one end of the distribution- awe and inspire us to greatness against all odds. At the other end are the gifted and talented. They made their mark with a giddy eclectic cocktail of talent and hard work. What about those who stand up and clap when they hear an underdog’s phenomenal success? What about those who tip their hats in acknowledgement of the gifted and talented? They form the fatty middle of the distribution — faces that blend in the crowd. The beauty of the middle is that it is all around us. They offer me something Gandhi, Einstein, Martin Luther King ,Michael Phelps and many outliers cannot offer — the freedom to observe from close quarters. I relished that opportunity. I looked for examples within the walls of the offices — from the potbellied guy or a lady with pearls in the corner office to coworkers with the brown bag lunch. Among them was John (can’t get more generic name than that). Within the office walls, he was king — top sales guy year after year selling a non-descript and yet powerful commodity — electricity. His pedigree — give him a novel offering [called product in retail electric space, every industry has its quirks]; he consistently knocked the sales out of the park. That was his niche. I had the chance to observe him at close quarters. Gosh, he spent an inordinate amount of time on the pricing of their current product. He fussed with the customers. He talked about the world. When he introduced the new product finally, it was an anticlimax. His new offering was a slam-dunk relative to the labor-intensive hand-holding. Was he successful often? Not really. But he churned his contact list. His grinding through would have made my dad proud. Most interesting — he was neutral — never elated on a close and never crestfallen for a no. When I stumped back at my desk, the lingering thought — John is passionate about every potential deal but not married to the outcome of any deal! Fascinating fellow. I started to observe more. Through the years, my interactions moved like a kaleidoscope. My corporate to consulting transition exposed me to more Malcolm’s in the middle who stood out within the larger middle. I came to realize two things. 1) I became self-aware that I had a dad-induced bias — hard working Janes caught my eye. In this world of phone merging with the computer, the better words are smart working Janes. 2) The common thread across observations was a small detail in John’s story that paid little attention initially. It mirrors what I found a CFO share with relish. This CFO — the first arriving and last leaving fellow, took his time in an all employee meeting to share a narrative from a reputed equity analyst’s research on his company. It melted away all the numbers. When John talked about the world with his customers, he was sharing his riches and partaking in his customers narratives. It was one line in my description. The powerful commonality across the middle. What is my singular aha? John, the sales guy; CFO, the geeky guy; and many other hard working stereotypes who stood out had one thing in common — they seem to believe “stories are never wasted.” And practiced their narratives with gusto. Stories are never wasted. Our life experiences are the riches. 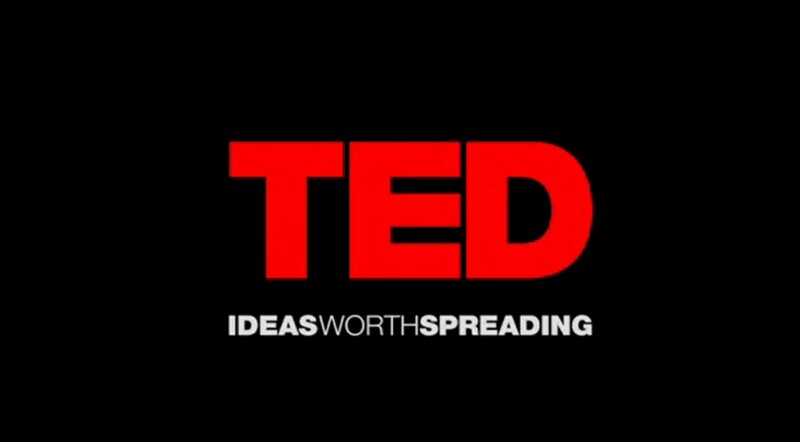 Even this fantasy TED talk is worth pondering — atleast the stories within. Through hard work, some get better at sharing their stories marginally better than others around them. Can that be you? I let myself go and had a blast writing this one — without the tightness, just raw writing. Let us see how far this takes us on this journey. Maybe one on dog tails, for part two? This blog is dedicated to everyone in the middle — in awe of the outliers, standing up and clapping for them. Today it is your day under the sunny arc lights. I’m Karthik and I write more like this all the time. Many on LinkedIn. Someday, I plan to get a newsletter going. You are welcome to signup at this link.